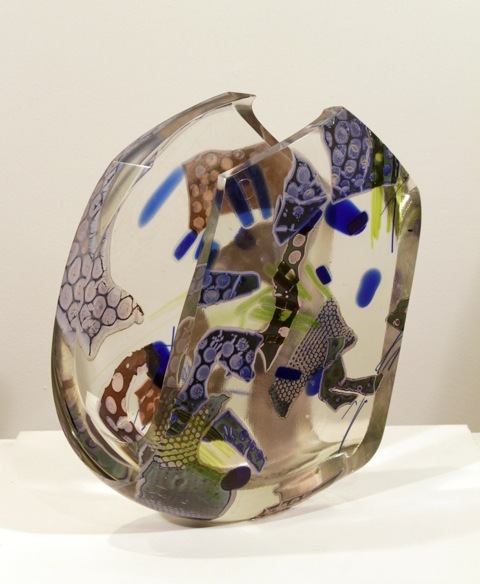 Entitled Studio Glass at 50: A Tradition in Flux, the exhibition was on view from July 14 through October 14, 2012. 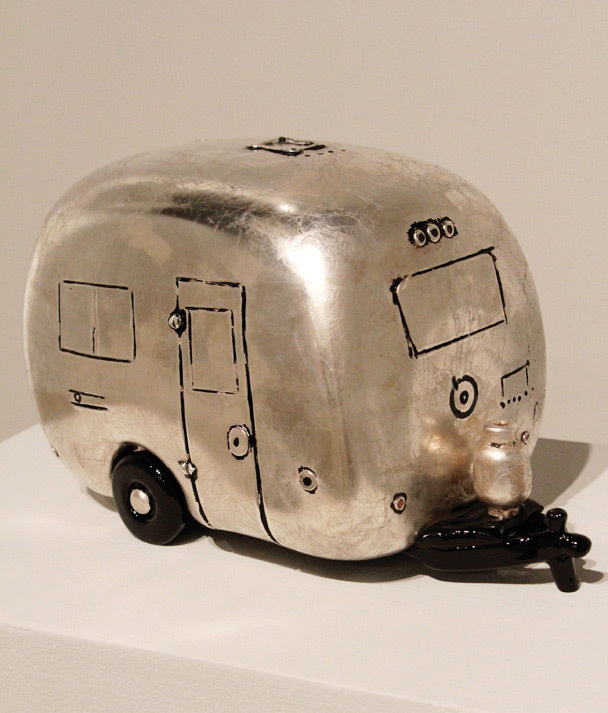 Organized by John Miller, associate professor of art and director of the glass program at Illinois State, the exhibition featured 85 works from 61 renowned and emerging glass artists. Coupled with the exhibition were demonstrations and artist talks, which afforded the community opportunities to see glass blowing in action and to hear from several artists. The creative fires charged by the studio glass pioneers of the 1960s inspired artists such as Joel Philip Myers who brought his passion for the medium to Illinois State University to establish the Glass Program in 1970. Myers and his successor, John Miller, were included in this exhibition along with many of their students, ranging from Jack Schmidt (1973), the earliest student, to current students John Moran (2013) and Slate Grove (2013). Other alumni artists included: Matthew Cummings (2011), Robert DuGrenier (1980), Stephen Dee Edwards (1980), Melanie Hunter (1993), Kim Knowles (1989), Joseph Nielander (1994), Yumiko and Osamu Noda (1984), Alex Stisser (1996), and Janusz Walentynowicz. With many of these artists exhibiting internationally, their contributions have helped draw attention to ISU’s historic glass program—a program that has become one of the leading exponents of the Studio Glass Movement in the United States. A central component to the exhibition was Miller’s The Gathering, a series of 25 collaborative works based upon the theme of the traditional goblet. The term gathering shares the dual meaning of people gathering together, as well as the act of gathering molten glass to begin working with the medium. Within the first month of the exhibition, Miller presented a community youth workshop, co-sponsored by the Children’s Discovery Museum. The exhibition concluded with a series of demonstrations and artists talks by Jack Schmidt, Fritz Dreisbach, Henry Halem, and Kim Harty. 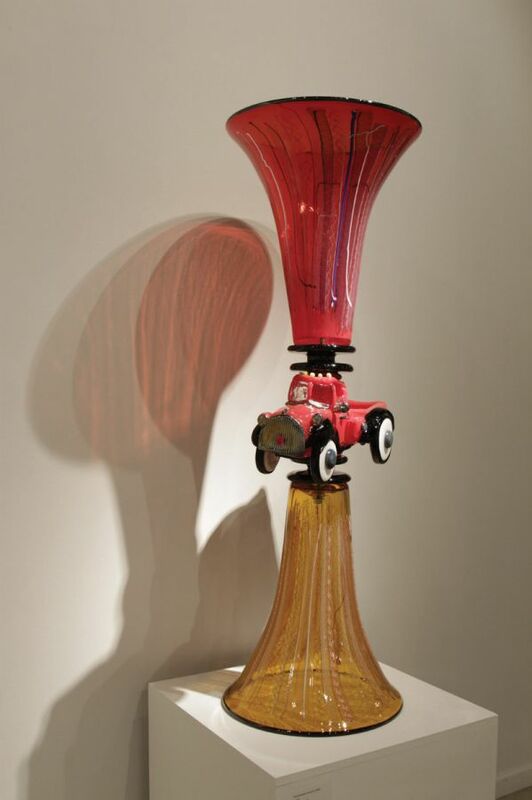 For Schmidt and Dreisbach, the events were a return to Normal: Schmidt was the first graduate of ISU’s glass program in 1973; Dreisbach was first invited to ISU as a visiting artist in 1970. This exhibition would not have been possible without works loaned from a number of collections, including the President’s Gallery at Illinois State University; J. Gill; Carol and Don Wiiken; Jack and Linda Ritter; and the holdings of University Galleries. This exhibition was made possible through grants from the Art Alliance for Contemporary Glass and the Midwest Contemporary Glass Art Group. It was great fun getting back to Normal. I'll be back!